Erika Jayne joined Loren Gray, Cardi B, Kelsea Ballerini, Jennifer Lopez, Taylor Swift, and Halsey on the red carpet at the 2018 American Music Awards held at the Microsoft Theater on Tuesday evening in Los Angeles. The 47-year-old American singer-songwriter, author, actress, and television personality flaunted her legs in a sparkling mini-dress. Accessorizing with chandelier earrings and sparkling diamond rings, ‘The Real Housewives Of Beverly Hills’ star finished off her look with ‘Eklectica’ metallic mixed-media red sole pumps by Christian Louboutin. You can buy these heels at Net-A-Porter, Barneys, Neiman Marcus, Nordstrom, and Saks. Crafted in contrasting strips of platinum Specchio stamped for an oxidized mirror-like effect, glitter and sequins glued in a pattern on a résille base and silver glitter applied in a random pattern on a dark base for a starry night effect. 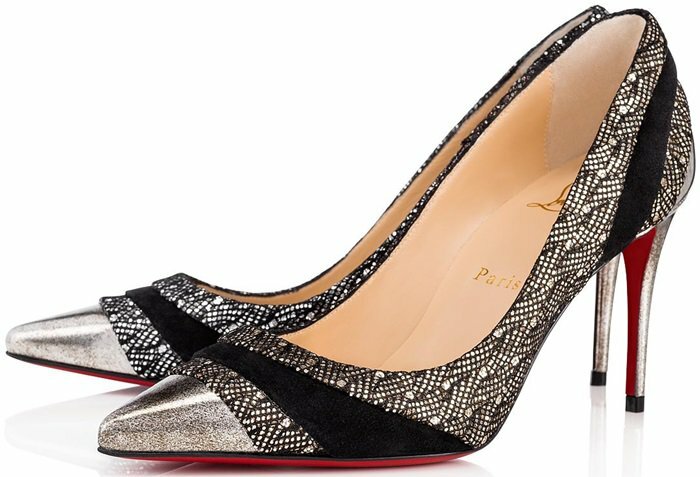 Show off your fun side with Christian Louboutin’s Eklectica pumps, a highly versatile style suitable for daytime and evening wear atop a 120mm heel. 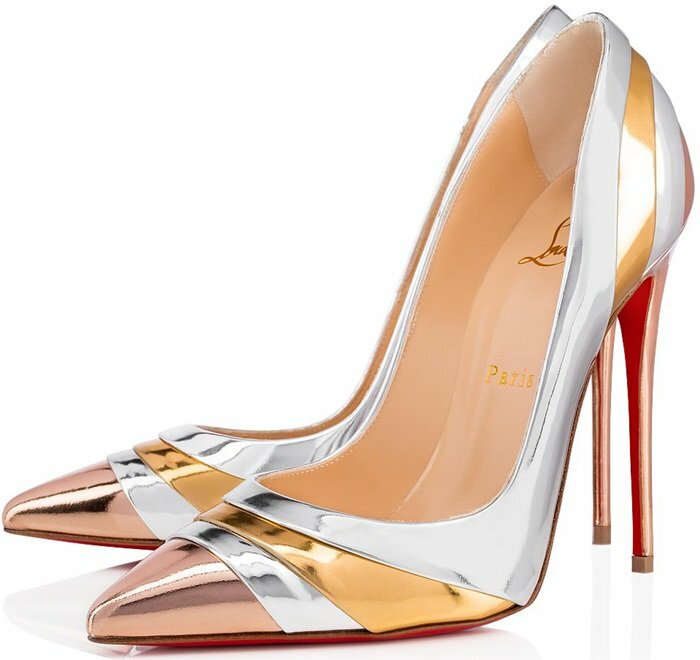 Crafted in contrasting strips of shiny bronze, silver, and gold Specchio atop a 120mm heel. 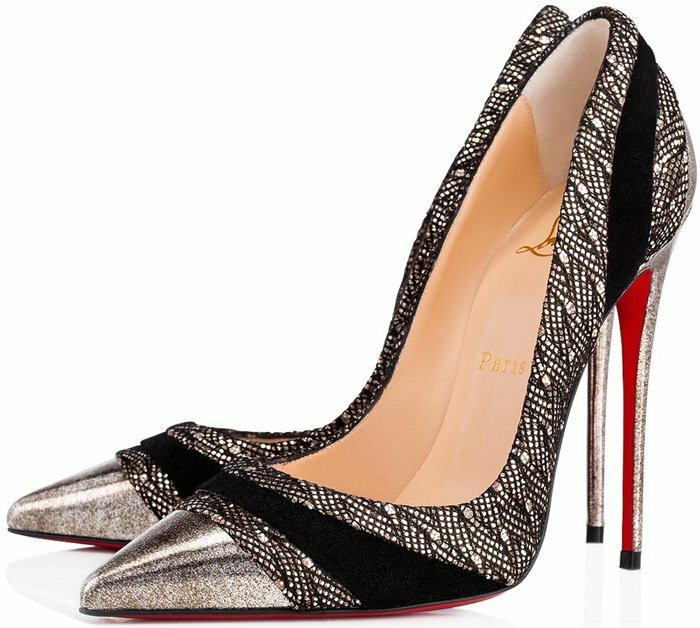 These pumps featuring an elegant curve have been crafted in a mix of glitter palace, crosta star with shiny reflects and black velour leather that sets the tone of a galactic style. 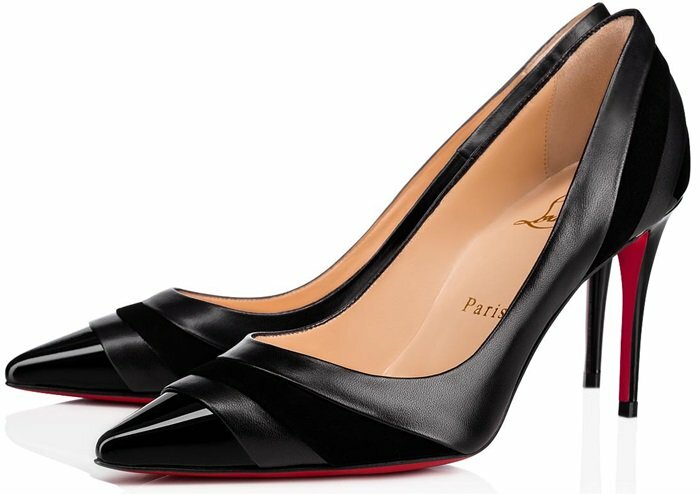 Set on an 85mm stiletto heel, its deep vamp reveals the know-how of the Maison Louboutin with audacity. No need to keep an extra pair of shoes under your desk for the evening—with its chic mix of materials and iconic red sole, this refined pump will take you seamlessly from office to out-on-the-town. Christian Louboutin’s ‘Eklectica’ pumps are paneled with curved stripes that highlight the contours of your foot in the most flattering way. Inspired by ’60s interiors, this pair is crafted from mirrored-leather in tones of silver, and yellow and rose-gold – match your jewelry to any one of the glistening finishes.